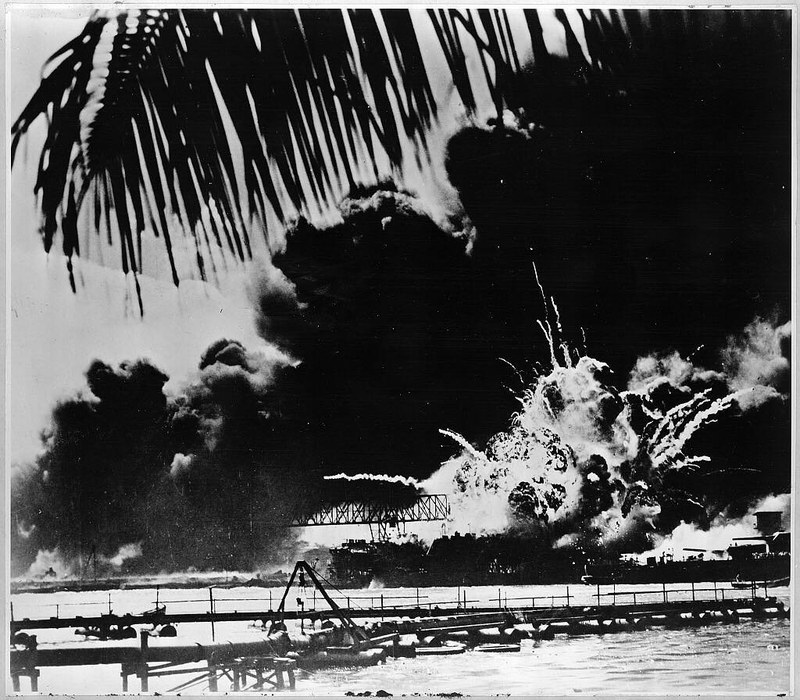 Multiple American ships were damaged or destroyed in the attack — you can see the USS Shaw on fire in this image. Photo via CNN. WAKEFIELD, R.I. (AP) – A piece of a battleship destroyed during the Pearl Harbor attack of World War II is coming to Rhode Island. The newspaper reports that the five-by-four-foot piece from the USS Arizona’s superstructure will be displayed at the entrance of the foundation’s center in Wakefield when it arrives in a few weeks. At least two people from Rhode Island died when the battleship sunk.